Online parts consumers often expect to use a year, make, and model lookup tool to find parts that will fit their vehicle. Then, when they order the part(s), they expect their fitment to match the search criteria. This feature is one of keys to auto parts ecommerce success, but unfortunately this feature also requires a massive amount of data to function correctly. 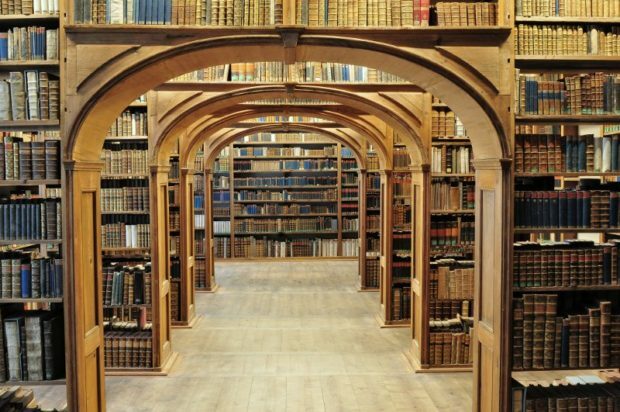 Your local library might have 100,000 different books on its shelves to keep track of. An auto parts website that sells just 1,000 different SKUs will have at least 100,000 database records. This is because almost every part has multiple fitments, in addition to a dozen different data points. What’s more, often times the lookup needs to be more specific than just year, make, and model. In most cases, part fitment is determined by trim level, wheelbase, engine, transmission, etc. The search tools (and supporting data) can get surprisingly complex. As you can imagine, this is a lot of data. If your parts e-commerce site is only going to list a couple dozen products, pulling this data together might take a few hours. You can grab a big cup of coffee, fire up your favorite spreadsheet software, and get to work. But, if you’re building a site that will have hundreds or thousands of products, it’s practically impossible for one person to pull together the data that’s needed. Fortunately, there are other options available. The advantage in this approach is that it’s faster and easier than doing it yourself. You sign a contract, work with the data provider to make sure the data is in the correct format, and then come up with a system to ensure immediate updates. It comes with a disadvantage, however. Most data licensing involves a substantial ongoing monthly expense. Depending on the data provider and the type of data feed you need, the cost of licensing data can range from a couple hundred dollars a month to well over $1,000 a month. This is on top of the cost of running an e-commerce site, marketing, and advertising. The RPMWare ecommerce platform is one of the only systems on the market that provides every customer with a substantial data set. While the data we provide is only a starting point for most sites, this starting point is a HUGE advantage over the alternative. Instead of hunting down data files and doing Excel wizardry until you get carpal tunnel, you can check off the brands you want to list on your website and review the provided data. With over 80 brands supported in our system, your new ecommerce site can get off the ground quickly. What’s more, because we’re an auto parts data management company, we periodically update data on our clients’ e-commerce sites with whatever the manufacturer provides to us. That minimizes the time that our clients spend fixing data problems. Best of all, our ecommerce platform costs less than nearly every other option on the market. As we mentioned above, if you’re not planning to list a lot of parts, you might be able to do the data yourself. However, if you plan to sell as many parts as possible, this task is, for lack of a better word, monstrous. Sourcing and maintaining the data yourself will be a never ending task, making for a major headache for you. First, you have to establish a baseline – categorization, vehicles, etc. And then you have to stick to it. Whatever your baseline, you then have to manage all of the data we listed above for each part you plan to list. The sheer amount of time this would take plus opportunity cost…well, it’s simply not worth it. Whatever option you choose – pulling together data manually, licensing data, or going with the RPMWare platform – it’s important to remember the following: Data is the key to success in auto parts and accessories ecommerce. Nearly everyone in the business of selling parts and accessories online spends their time manipulating product and fitment data. At RPMWare, we make this process as painless as possible.